501(c)(3): Section of the Internal Revenue Code that designates an organization as charitable and tax exempt. Organizations qualifying under this section include religious, educational, charitable, amateur athletic, scientific and literary groups, organizations testing for public safety or organizations involved in prevention of cruelty to children or animals. The tax code sets forth a list of sections – 501(c)(4-26) – to identify other nonprofit organizations whose function is not solely charitable (e.g., professional or veterans organizations, chambers of commerce, fraternal societies, etc.). Affiliate Fund: A collection of assets designated to benefit a specific community, generally a geographic service area that operates under the guidance of, or in accordance with a formal agreement with, a community foundation serving a larger or a separate area. 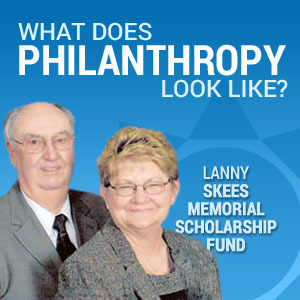 In practice, community foundations generally provide, from within their existing organizational infrastructure, the ‘back office’ service for these funds. 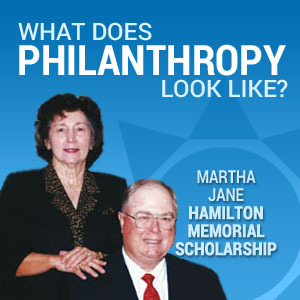 Affiliate funs may be donor advised or field of interest funds at the host community foundation or they may be separately incorporated charitable organizations that either are structured as supporting organizations to the parent community foundation or that have a written agreement with the host community foundation for the provision of services. Agency Endowment Fund: Established by a nonprofit agency for the benefit of the nonprofit agency. The community foundation regularly distributes the annual net earnings back to the agency for purposes established by the agency. Bequest: A gift by will to a specific recipient. A charitable bequest is a transfer at death by will to a nonprofit organization for charitable purposes. Challenge Grant: A grant this is made on the condition that other monies must be secured, either on a matching basis or via some other formula, usually within a specified period of time, with the objective of stimulating giving from additional sources. Charitable Gift Annuity: A gift of cash or securities in exchange for the promise of lifetime income, immediate (CGA) or deferred (DCGA). A charitable gift annuity is a contract between the donor and charity that is part charitable gift and part purchase of an annuity. The total assets of charity back the payments. Charitable Lead Trust: A charitable lead trust (CLT) pays the trust income to a charity first for a specified period, with the principal reverting to the donor or going to other person(s) at the end of the period. If it is established by will, it is known as a Testamentary Charitable Lead Trust (TCLT). Charitable Purpose: Charitable purposes include the relief of poverty, the advancement of education or religion, the promotion of health, governmental or municipal purposes, and other purposes the achievement of which is beneficial to the community. Organizations set up and operated exclusively for charitable purposes, and which serve a public rather than a private interest, are exempt from federal income tax under section 501(c)(3) of the Internal Revenue Code and are eligible recipients of tax-deductible charitable contributions. Charitable Remainder Trust: A gift plan that provides income to one or more beneficiaries for their lifetime, a fixed term of not more than 20 years, or a combination of the two. Assets, usually cash, securities, or real estate are transferred to a trust that pays income to the beneficiaries for the term of the trust. When the trust term ends, the remainder in the trust passes to the charity. It can be established as a Charitable Remainder Annuity Trust (CRAT) with a fixed payout or as a Charitable Remainder Unitrust (CRUT) with a variable payout. Can be established during the donor’s lifetime (CRT) or by will (TCRT). 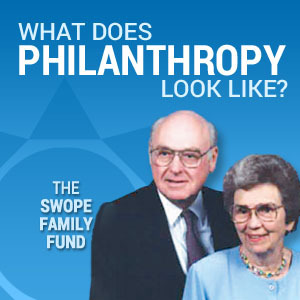 Community Foundation: A tax-exempt, nonprofit, autonomous, publicly supported, nonsectarian philanthropic institution with a long-term goal of building permanent, named component funds established by many separate donors to carry out their charitable interests and for the broad-based charitable interest of and for the benefit of residents of a defined geographic area. 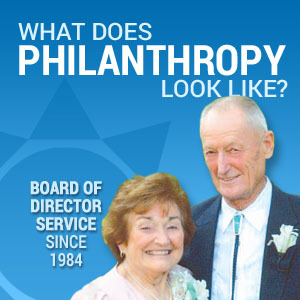 CENTRAL KENTUCKY COMMUNITY FOUNDATION is the philanthropic focal point in the region, serving as a resource, leader and catalyst to people who wish to improve life in their community. We are here to help our donors make a positive impact in their community. Personalized Service – We make giving easy and effective, accepting a wide variety of gifts and providing donors a number of charitable options. You can contribute cash, stocks, property, and bequests. You may establish a fund in your name or in the name of a loved one. In most cases, your gift qualifies for maximum tax advantage under federal law. Local Expertise – Our professional staff has an in-depth understanding of the issues, opportunities, and resources that shape our community. We monitor all areas of community need — including human services, education, the environment, healthcare, the arts, and economic development. We can help you learn more about local organizations and programs that make a difference in areas you care about most. Community Leadership – We invest in the long term and bring people and organizations together, convening diverse voices to address local issues and opportunities. Building community is our business. Designated Fund: A type of restricted fund held by a community foundation in which the donor specifies a specific nonprofit organization or purpose as the fund beneficiaries. Donor Advised Fund: Generally, a fund held by a community foundation where the donor, or a person or committee appointed by the donor, may recommend eligible charitable recipients for grants from the fund. The community foundation’s governing body must be free to accept or reject the recommendation. Donor Advised Funds may be established as endowed or non-endowed funds. Endowment: A fund in which the principle is kept intact, and only a certain amount of earnings are available for other purposes. Donors may require that the principal remain intact in perpetuity, for a defined period of time, or until sufficient assets have been accumulated to achieve a designated purpose. With a permanent endowment the principle is often invested along with some retained earnings to retain the fund’s historic value. Field of Interest Fund: A fund held by a community foundation that is used for a specific charitable purpose such as education or health research. Equities: Also called equity securities or corporate stocks. An instrument that signifies an ownership position, or equity, in a corporation, and represents a claim on its proportionate share in the corporation’s assets and profits. Fixed Income Security: A security that pays a fixed rate of interest. This usually refers to government, corporate, mortgage and municipal bonds. Future Interest Property/Retained Life Estate: The donor gives remainder interest in a personal residence, vacation home, or farm, subject to the right to live in the home (or work the farm) for the lifetime of the donor and/or another person. Life Insurance (as wealth replacement): To secure the interests of family members, the donor of a life income plan (such as a charitable remainder trust) purchases life insurance to replace the value of an asset that has been donated to charity by using the tax savings resulting from the charitable deduction. Placing the insurance policy in a separate trust permits the proceeds to pass to heirs outside the taxable estate. Life Insurance (gift of): Life insurance is easy to give and to receive. The donor must make the organization both owner and beneficiary of the insurance policy for the IRS to regard the transaction as a charitable gift. Matching Gifts Program: A grant or contributions program that will match employees’ or directors’ gifts made to qualifying educational, arts and cultural, health, or other organizations. Each employer or foundation establishes specific guidelines. Some foundations also use such a program for their trustees. Matching Grant: A grant or gift made with the specification that the amount donated must be matched one for one according to some other prescribed formula. 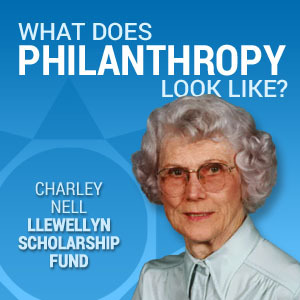 Philanthropy: Philanthropy is defined in different ways. The word is of Greek origin, meaning “love for humankind”. 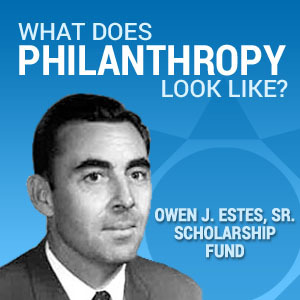 Today, philanthropy includes the concept of voluntary giving by individuals or by groups to promote the common good. It also commonly refers to grants of money given by foundations to nonprofit organizations. 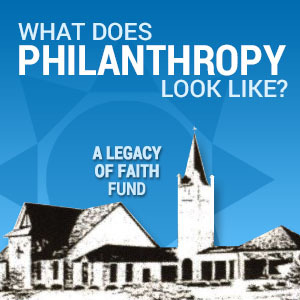 Philanthropy addresses contributions by individuals or groups to other organizations that in turn work to alleviate the causes of poverty or social problems—improving the quality of life for all citizens. Philanthropic giving also supports a variety of activities in the areas of research, health, education, arts and culture, and environmental issues. Will: A written instrument legally executed by which a person makes disposition of his or her estate to take effect after death.